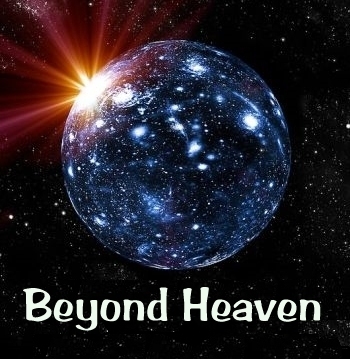 The following is an excerpt from Beyond Heaven. The book will soon be available on Amazon.com and iTunes. The next time I saw the mystic was in central Michigan for a four-day session at a Boy Scout camp. He had told us that the program would allow us to experience the deeper dimensions of life and let us see a glimpse of what lies beyond. I arrived at the camp on a Thursday afternoon and checked in with the volunteers who had organized the session. Accommodations were in a series of small cabins filled with bunk beds, but we would spend very little time sleeping over the next few days. We started that evening around six inside the camp’s gymnasium. It has been decorated with a large vibrantly colored abstract painting on a stretched cloth that looked like the figure of a man dancing. The figure seemed to have five or six limbs, two heads, and no discernible face. When the mystic arrived and sat down in front of us, he glanced over at the painting. He said that the painting was Shiva, the Supreme God in the Hindu culture, also known at the lord of dance. He also told us that Shiva was known as the Adi Yogi or the first yogi. The mystic told us that if we looked up at the sun and planets, stars, and galaxies, we would see that there are little bits of matter in the midst of no-thing. No-thing is the prevalent state in the universe. The same is true if you use an electron microscope and peer into the heart of an atom. You will see the nucleus and electrons are separated by a vast amount of no-thing. That no-thing is Shiva, the source of all creation. “There are only tiny sparks of light we call creation in the midst of the nothingness,” he said. He told us that energy can be both physical and non-physical. The non-physical aspects of energy don’t make sense to us logically, but it exists nonetheless. Inside of a black hole, there are no atoms, electrons, or matter inside, but there is non-physical energy. This nothingness is the abode of Shiva, the source of non-physical energy. Energy when it begins to vibrate creates a particle. The particular vibration creates a wave which has a certain capability to be something physical. Energy vibrating one way would be a rock, while vibrating another way it would be human. It is the same energy for both, but vibrating at a different frequency. The source of the vibration that causes the physical universe is called “prana.” It is also the source of consciousness or the life force. The mystic told us that Shiva took a human form as half-man and half-woman and taught yoga to seven disciples on the bank of Lake Manasarovar in what is now known as Tibet. Those seven disciples then went forth in all directions to teach yoga to the world. Shiva then meditated and made himself very still. So still in fact, that he became a mountain. That mountain is now known as Mount Kailash and it rises from the edge of Lake Manasarovar, a tall blade of black obsidian that otherwise does not seem to belong with the surrounding mountains. He told us that karma is past action, past thought, past emotions. It accumulates and affects your tendencies to act a certain way in the future. For example, someone may lose a child, and this creates deep sorrow for them. They carry this with them, so that whenever they see children playing, they think of their lost child and the sorrow returns. This is karma. I had always heard the terms “good karma” and “bad karma” and the idea that your karma might influence your next life, if reincarnation was indeed a possibility. I figured this discussion was mainly intended for the Indians in the audience, since reincarnation was a basic belief in their culture. However, the more the mystic talked about karma, the more it made sense as the basis for what life here on earth was all about. He told us that our energy was imprinted with our past experiences. This karma was what allowed us to take a physical form. Without it, we could not be here. He went on to explain that our tendencies on earth were recorded into our karma. For example, if we were prone to collecting things, such as money or material goods, we could spend our entire lives working and saving and collecting. In our next life, our karmic structure would look for a suitable existence where we can continue this tendency to collect. We would continue this cycle of birth, death, and rebirth until we had worked collecting out of our system. As he talked, I thought about my own tendencies to collect things. I not only collected money, but I also had a collection of scale model airplanes, rocks, baseball caps, footballs, and music. In the past six months since starting the kriya yoga, these urges to collect had already subsided a bit. We began a series of processes that focused on awareness and the boundaries between self and everything else. We paired with another participant, faced each other, and studied each other intently to the point that I that I could sense the other person’s feelings and thoughts just by looking at subtle movements of the face and eyes. I was especially drawn to the other person’s eyes and wondered whether they saw the world the same as me. Since I was so totally absorbed into those eyes, I wasn’t thinking about anything else. This made it very easy to see a variety of familiar people in those same eyes. I saw my wife, my father, and eventually I saw myself looking back. Between the various processes, we were instructed to mediate. I noticed that meditating under these circumstances, engulfed by the mystic’s energy, was a completely different experience. My normal daydreams disappeared, and I just sat for extended periods of nothingness. For one particular meditation, I sat down, went blank, and was pulled back into this world by a volunteer who whispered that it was time to eat. Twenty minutes had gone by without thinking. I was amazed by this accomplishment and even wondered if I had fallen asleep. I don’t think so, because I do recall hearing sounds around me, but I had not paid any attention to the content. The endless mind chatter had been squeezed off, leaving a wonderful clarity that I had never experienced before. Early the next morning, we did another process that focused on heightening our awareness. The mystic told us to go outside and find one living thing and focus on it for an hour. I found a medium-sized tree in a small grove near the gym and sat down beside it. It was November in Michigan, so the tree had already shed its leaves, which were lying on the ground around me. At first, I focused on the physical aspects of the tree: the base of the truck that disappeared into the ground, the rough bark coated with greenish lichen, the limbs that separated from the trunk into ever smaller branches, the slight creaking sound it made as it swayed occasionally in the wind, and the occasional root that peeked above the surface of the grass as it struggled to grab a foothold for support. I dug a small hole in the earth next to the tree and buried my hand in the fresh loose dirt. I tried to imagine what it felt like to be a tree with my arm stretching up out of the earth like the trunk – the rest of my body its limbs. There were a few small branches that still had one or two clinging brown leaves that had not yet fallen. I could tell that they were afraid to drop like their siblings had already done. “What is going to happen to me when I fall?” one leaf was asking me. I wondered how much human beings and leaves really had in common when it came to life, death, and the cycle of rebirth. Like snowflakes, leaves and people were all unique, even though there were billions of them living on the planet. What was the difference between one leaf and the next or between one person and the next? When I looked at the cycle of life from the context of a single leaf and it’s mother the tree, I had some epiphanies about the many possible dimensions of life. The thousands of leaves that come and go each season from a particular tree, could be thought of as the thousands of reincarnated lives a human being might live. Sometimes you might live many lives at the same time on different parts of the tree, and you might come again and again, season after season. All the while, the same thing was happening to other beings on the countless trees of the forest. Beyond the dimension of the single tree of life, was the forest. Beyond that were other forests nearby and on distant continents. Beyond that were other types of existence. Using the analogy of plants, there were dimensions of life as grasses, ferns, vegetables, and flowers. Beyond that were dimensions of life as cellular creatures, insects, fish, birds, reptiles, mammals, and humans. I thought about the mystic and his enlightened insight into the nature of reality. How far did his knowledge stretch? Did he know everything there was to know about the tree? Or did he also know about the entire forest? How many dimensions of life was he aware of? After spending an hour with the tree, I went back inside and the mystic said that we were about to do a process that would allow us to practice for one of the most important events in our lives: our deaths. “I ask you if it is important to live life honorably?” the mystic asked us. “Yes,” many people agreed in unison. He told us that in order to learn to die honorably we should practice it. That way we wouldn’t be afraid when it eventually happens. He told us that it would even be good to think about death every day. It would change the way we looked at life, if we saw it from the perspective of our own death. We would treat people differently. We wouldn’t pursue mundane and petty things. We would try to correct our mistakes before it was too late. He instructed us to move away from each other, lie down with our feet apart and our palms facing up. He said that our metabolism would be greatly reduced, so it might be good to cover with a blanket. And because our metabolism would become so shallow, it was important that we didn’t try to move or open our eyes, until he gave us specific instructions. A suddenly movement or eye opening could cause a great shock to the system and result in prolonged pain. I had a blanket with me, so I stretched out and covered myself, positioned my hands and feet, and closed my eyes. After waiting for a few moments for everyone to settle, the mystic began his instructions. He repeated these same instructions, until I reached a very relaxed state. He then told us to tense our feet and make them as rigid and stiff as possible. I pointed my toes and tensed the muscles in my feet as tightly as I could. He then asked us to move the tension up to our ankles. My ankle muscles followed his command. The tension then moved up to the calves, then to the knees, onto the thighs, to the hips, stomach, chest, and onto the arms. The tension crept up my neck, onto my face, and all the way to the top of my head. My entire body was tense and trembling with a rigor mortis like stiffness. “Exhale completely and then relax,” ordered the mystic. I went completely limp into the exhalation; my body was a limp wrung out dish towel. The mystic then told me that my body has been positioned on a funeral pyre and that wood had been stacked beneath. A fire had been lit and the flames were now licking around my feet. Smoke from the fire was drifting up into the sky, and soon my feet were completely engulfed in flames. The fire began to move up my body to my legs. My calves started burning, followed by my knees and thighs. Soon the entire bottom half of my body was burning in the fire. The flames then spread up to my stomach and chest. My arms individually caught fire and the only thing left was my head. At that point, the mystic gave me another command. “Come out of your body,” he ordered. “Float up out of your body and turn around and look down at your burning body.” He clapped his hands a few times which sent waves of energy that seemed to help lift me. I raised my head and floated up easily out of the burning fire. I felt as if I was sitting up in the middle of the cremation fire, a grotesque corpse shifting position as the flesh burned away. But I kept moving upward until I was five or six feet above the fire. I turned around as he suggested and looked back at the fire. It was now burning my head and face. I watched as my body quickly disintegrated into smoke and ash. With that freeing suggestion, I suddenly zipped away from the cremation grounds at what felt like the speed of light. I heard the loud pounding of drums, with a big bass drum that seemed to push my lighter-than-air essence to and fro like a leaf in a strong wind. I saw a strange city that I didn’t recognize, with houses, cars, and office buildings. One beat of the drum later, I found myself inside someone’s home. It was a man and his wife and they were eating dinner while watching TV. One more drum beat and I zipped away from their house and went next door. A woman was vacuuming the carpet there. Boom went the drum and I dashed away and off down the street several blocks until the next drum boom sent me flying through an apartment complex. I saw someone taking a shower, someone else cooking, someone sleeping, someone drinking a beer, and two people making love on a small twin bed. Another boom and I was flying down a residential street and into someone’s car. It was a teenage boy who was listening to music on ear buds. He didn’t notice the ghost that had appeared in the car seat next to him. I studied him carefully as he drove along bouncing in his seat to the music filling his head. The faintest wisp of a mustache was just sprouting over his lip. Boom and I was out of his car and into a busy intersection with three lanes of rush hour traffic zooming past me. Several cars passed right through me, and each time I caught a brief glimpse of the driver as I passed through the engine, the interior, and out through the back. After a couple of cars blasted through me, I started jumping into cars and riding along for one drum beat, then jumping to a different car going in the opposite direction for another beat. After zigzagging this way through car after car, I found that I had used the cars to move myself to the grassy median of the highway. Cars were passing quickly on both sides of the median, but I no longer paid any attention to them. They seemed to speed up like time lapse photography with the sky growing light, then dark, then light again. Soon, time was moving so fast, I couldn’t see any cars or people or even tell whether it was day or night. I stayed in the grassy median and began to mediate with my eyes open. There were no thoughts, as I stared at the grass with this intense nothingness emanating from my being. Beautiful red flowers rose up out of the ground, unfolding their stems, sprouting leaves, pushing forth buds, and blooming widely. It felt as if I had stayed in that grassy median for weeks, but I heard another boom from the drum and realized that it had only been one beat of this cosmic metronome. I once again flew away so fast everything around me was just a blur of color. When it stopped, I was moving slowly through the hall of an office building. I looked in the offices as I floated by. Someone was typing an email on their computer. Another person was on the telephone. Someone else was making copies. I paused at the copy machine and focused the nothingness of my meditation on the swooshing paper. The machine suddenly jammed and came to a stop. I laughed to myself, realizing that I had become a trickster poltergeist. Another beat later and I passed slowly out the window from one of the highest floors and floated through the air up into the clouds. I began moving rapidly through the clouds like a supersonic jet. I could see the fields and forest below, then suddenly everything was the whiteness of a cloud. Soon I found myself flying past a large thunderstorm with flashes of lightning and boiling dark clouds. The drumming sound had disappeared, but I still seemed to be moving from one thing to the next at the same pace. The movement from one setting to the next was so fast, all I could see was a watercolor wash. When it settled, I was floating at the foot of a huge glacier as large chunks of ice fell into the water and splashed a great tsunami that rolled out into a spectacular bay surrounded by majestic mountains. Another blur of movement, and I was surrounded by flat plane of ice that stretched around me in every direction. I assumed I was standing at the North or South Pole, but it didn’t feel cold to me. I was moving once again, this time I was on the rim of an active volcano as lava boiled and steamed in the caldera below and vents of steam erupted right beside me. The next time I stopped, I was in the middle of a vast blue ocean covered with white caps. Then, I was below the water sinking at an incredible rate of speed. I came to the bottom of a deep trench where I could tell the pressure of the water was intense, and odd sea creatures illuminated themselves with phosphorescent light. My last stop was atop an extremely tall mountain that looked impossible to climb. I could see other mountains stretched below in every direction. Finally, I stopped flashing in and out from one place to another, and I just stayed on this mountaintop for a few moments looking around at the earth in every direction. My mind settled and went blank, and I meditated once again with my eyes open. Time seemed to speed up around me, as I witnessed changing weather patterns in extremely fast motion along with flashes of day and night. It was then that I started floating up away from the mountain into the sky, steadily increasing velocity like a just launched rocket. I could see the curve of the earth and within no time the sky transitioned into blackness. I was out in space looking back at the earth as it grew smaller and smaller below me. Soon another sphere zipped past as I moved faster and faster. It was the moon, and I had just a moment to look at it before it disappeared from view along with the earth. A great boiling sun appeared, and I could hear the roaring sound it made as its surface rumbled, and great tongues of plasma reached out into space all around me. As I passed by the sun, it seemed to be communicating with me, but I didn’t understand its message. It was as if the sun was planting thoughts in my mind in a type of language meant for keeping planets and moons from straying from their orbits. Maybe it thought I was a wayward comet, but I didn’t have time to even say goodbye, before it disappeared into a twinkling star that eventually blended into the blackness of deep space. It was very peaceful in the deep space. I no longer felt that I was moving, as there were no reference points in any direction. I could see stars in every direction, but nothing any larger than a tiny dot, until I suddenly noticed a glowing radiance appear from somewhere behind me. I turned in the direction of the intense light and saw a vast spiral arm galaxy stretched before me. I could see it turning and rotating on itself, which made me realize that time as I had known it on earth made absolutely no sense here. A rotation that might take millions of light years was happening within four or five minutes of current time awareness. As it rotated, there was low rumbling sound coming from the vast field of stars and gas. I began traveling into the rotating spiral arms, and soon I was completely engulfed within them. I saw individual stars flash past me as boiling red, blue, and yellow balls of light. I seemed to be heading toward the center, the point that all the stars the galaxy were rotating around. It was the brightest there, almost to the point that it was unbearable to look at. As I neared this extremely bright center, I noticed that it seemed to be a vibrant rotating mass of multicolored gas. I came closer and closer to it and then suddenly passed right through it, as if it was only the width of a piece of paper. Inside, there was something incredible. The only way I can describe it is to say that it was a tornado-bathed-in-light. It stretched up as far as I could see and down as far as I could see. It was spinning at an enormous speed and was sucking in light from the outer glowing membrane that I had passed through. In addition to light, I saw every physical thing imaginable being pulled into the vortex. Stars and planets disappeared inside, along with thoughts, emotions, and sounds. The sound was a deafening cacophony of drums, horns, bells, rumbles, crashes, and whistles. There were voices, many voices, chattering past on their way into the churning clouds. I thought for a moment that I had just ventured into the event horizon of a black hole. The incredible gravitational force was what attracted everything, even causing an entire galaxy to rotate around it, waiting its turn for eventual recycling into nothingness. From what the mystic had earlier described, I felt as if I had come face to face with Shiva the destroyer. Was this God? Why not, I thought. It was the most attractive thing in the world. All of creation wanted to be a part of it. I couldn’t take my eyes off of it and marveled at its intensity and glory. It was everything at once. What an incredible gift to have seen this wonderful being. That’s when I realized that it was a being itself. And it beckoned me to join it. I opened my arms to embrace it and moved into the tornado-bathed-in-light. As I came closer, it suddenly pulled me into its rotating mass. I began moving with the rest of its most recent attractions around and around so fast that I could no longer see anything. The force of its gravity flattened me back as if I was pulling maximum G’s in a fighter jet. It was so intense, I didn’t think I could take it anymore, when suddenly I split apart in every direction, dissolving into a million pieces. Then there was nothing. This was instant before creation. This was the place where atoms, galaxies, and people went between existences. This was also the nothingness of meditation. I noticed something moving in the shadowy blackness, and it slowly grew in intensity, so that it became a pulsating fuzzy mass. It reminded me of a television that wasn’t turned to a broadcast channel and was viewing the snow of electrical interference. This phenomenon grew larger and brighter, and I could see that is consisted of countless dots appearing and disappearing randomly. I moved closer to the flashing light show to the point that the dots grew to the size of marbles, then to the size of baseballs, and then suddenly swelled up to the size of basketballs. Then, as if a switch had been flipped, they stopped flashing in and out of existence and remained frozen in time before me. “Look closer,” it said as another thought. I leaned in close to one of the basketball-sized objects and noticed that it did not have a well-defined boundary. It was a completely round sphere, but the edges seemed to fade off into the nothingness for just a bit, before the sphere next to it started to fade in. They were arranged in an array, with spheres above, below, and to all sides at every possible angle to any individual sphere. As I studied that one particular sphere, I could see that it was filled with blackness. But as I looked closer, I seemed to be traveling into it and then was astonished to see that within the blackness, there were frozen galaxies. It was its own complete universe. I backed out of it and moved back to see the full array of spheres. This was utterly amazing. Is this what the universe looks like outside of time and space? “Yes,” answered the presence with another planted thought. They were flashing before, and now they are frozen. “Why were they flashing?” I asked. “They were coming and going in and out of existence,” answered the presence. “At the speed of light or something else?” I asked. “At the speed of consciousness,” it answered. At that point, I noticed there were little electrical charges moving like small lightning bolts from one sphere to the next, traveling in a zigzag path through the array. The electrical bolt might pass through three or four adjacent spheres in the same direction, and then turn abruptly and off through other spheres at a 90 degree angle. I leaned in closer to one of the spheres and waited for one of the electrical charges to pass through. When it did, I instantly saw an image of a person. The next time a charge came through, I followed along it on its path through many spheres, and I could see the person moving and interacting. Each individual sphere was like a frozen frame of movie film, while the electrical path was like watching the movie. “Go inside one,” the presence suggested, so I did. I leaned into one of the spheres and it quickly absorbed me inside. I could see a clear liquid surrounding me and I sensed the feeling of warmth. There was a then membrane, and I could see what looked like blood vessels stretched around me. “Is this a womb?” I asked the presence. “Yes,” answered a presence, but I could sense it was a different presence this time. “Is this me being born?” I asked. Suddenly, I saw a very large fetus. It wasn’t well developed, and compared to it, I must have been the size of a single cell. I was overwhelmed and began to cry with joy and amazement. I started mumbling “oh my god, oh my god,” over and over and couldn’t stop. I sobbed like that for a few moments, as I was utterly and completely blown away by the experience. I opened my eyes and looked up into the rafters of the gymnasium. I felt very strange and slowly rolled over on my side and tried to push myself up. The muscles in my arms were weak, and it was difficult to push myself up. Other people were beginning to return all around me. Some were still lying on their backs looking at the ceiling. A few others were sitting up like me. And several people seemed to still be deep within the trance. After waiting for a few moments, the mystic got up and began to walk through the group, bending down to check on those who still seemed to be out. Putting his fingers and thumb together, he positioned his hand over a person’s forehead, and then flicked his thumb back and forth over the fingers quickly. I assumed he was passing some type of unseen energy as an attempt to revive the person. For most of the still prone people, this seemed to work, and very shortly thereafter they would open their eyes. For one woman, the mystic got down on one knee and began rubbing her arms and ankles vigorously. After doing this for a few moments, I saw her suddenly gasp for a breath. It was if she died and stopped breathing, and the mystic brought her back to life. A few moments later, she opened her eyes and looked around wide-eyed and confused.